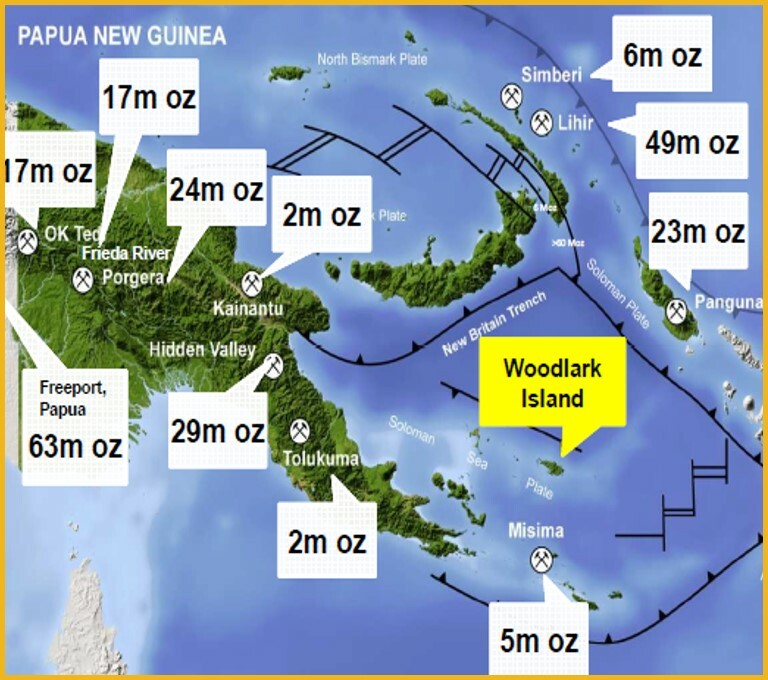 In July 2014, Kula successfully completed a Helimag survey comprising 2,263 line kilometres over the central region of Woodlark Island which hosts the current 2.1Moz gold Resource. The Helimag survey was flown at an initial 100 metre line spacing and flown normal to the geomagnetic field. Several coherent areas of intense magnetic low suspected to be significant zones of hydrothermal alteration were indicated by the raw data from the initial survey. Data received from the Helimag survey was integrated with previous structural and geological interpretations resulting in a significantly improved understanding of gold mineralising controls within the current Mineral Resource. 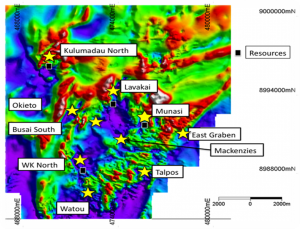 This improved geological understanding has also allowed Kula to establish a new Exploration Model which has successfully identified a number of priority targets. The implementation of this Exploration Model has resulted in improved on-ground targeting and reduced exploration costs. An initial 10 targets have been priority rated based on their proximity to current Ore Reserve, previous historic drilling if any, associated anomalous gold in panned concentrates, size and shape of the aeromagnetic lows and favourable structure. 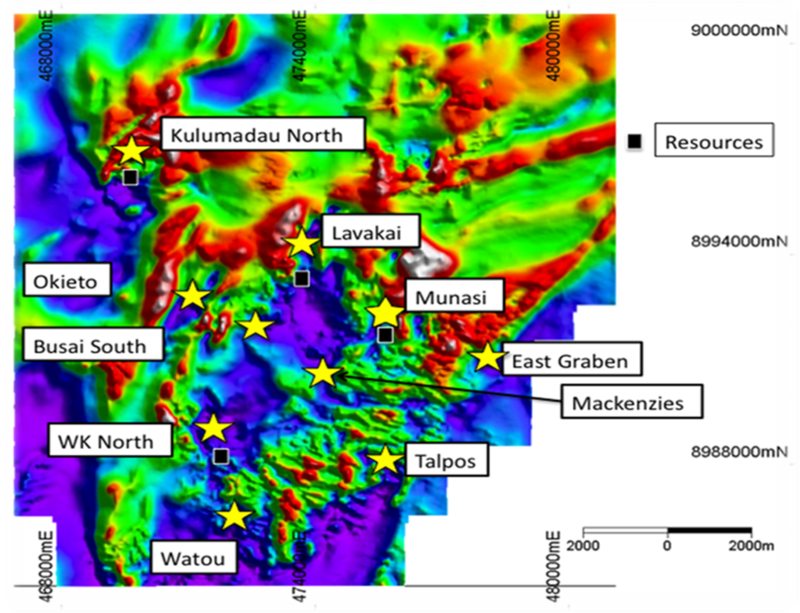 Most of these targets have not been subject to previous exploration drilling and appear to be of similar location and size to the alteration patterns observed at Kulumadau and Busai, which host a large amount of the current Resource.